Paul J. Larrousse assumed the directorship of the National Transit Institute, the federally designated training and education program for the U.S. Public Transit Industry, in July 2000. He was designated as a faculty fellow at the Bloustein School in 2003 and taught the graduate level “Transit Management and Planning” course each fall and co-taught a Transit Planning Studio in the spring. Paul passed away in November, 2018. Prior to becoming director of NTI, Mr. Larrousse served as the general manager of the Madison Metro in Madison, WI beginning in January 1989. 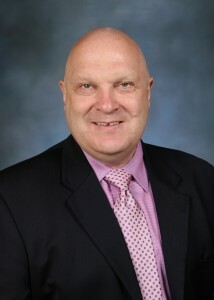 He joined Madison Metro in March 1987, initially serving as the assistant general manager. Before Madison Metro, Mr. Larrousse served as the initial general manager and led the start-up of the Waukesha Metro in Waukesha, WI. He has also held management positions for the Wayne County MI paratransit system, the York PA transit system and served as the transit planner for Middlesex County, NJ. He held a bachelor of arts degree in geography and urban studies from Saint Anselm College in Manchester, NH and a master’s of science in transportation planning and engineering from New York University Tandon School of Engineering. Mr. Larrousse served as chair Middlesex County (NJ) Transportation Coordinating Committee and also on the East Brunswick Township (NJ) Traffic Advisory Board. He previously served as chair of the American Public Transit Association’s Research and Technology Committee, and the Transit Cooperative Research Program Oversight and Project Selection Committee. He continued to be involved in various APTA and TCRP committees.